This top-down racer delivers top speeds and intuitive controls. Top-down racers feel right at home on iOS, and Drift'n'Drive is one that looks and feels absolutely fantastic. It's colorful, smooth, and full of plenty of reasons to give it a try. If you don't stay for the massive amount of cars you can have on-screen at one time, you certainly will for how well they handle. Drift'n'Drive is a high-speed adventure with plenty of vehicles, career mode, time trial, and multiplayer for different ways to enjoy your racing and plenty of cars to do it with. Hop into the driver's seat of a car that automatically accelerates. You need only steer left and right and kick in the turbo boost at certain points to tear up the track, but that's all you have to worry about. You can also choose where you start in the race no matter where you place in the previous one so you've got an equal chance no matter what. And each time you head back in to best your previous time, you get a brand new, randomized track, meaning there's plenty of reason to come back and race again, even if you thought you conquered everything already. There's not much to dislike about this excellent yet simple racer, though the simplicity is indeed one thing that detractors may find they just can't deal with. 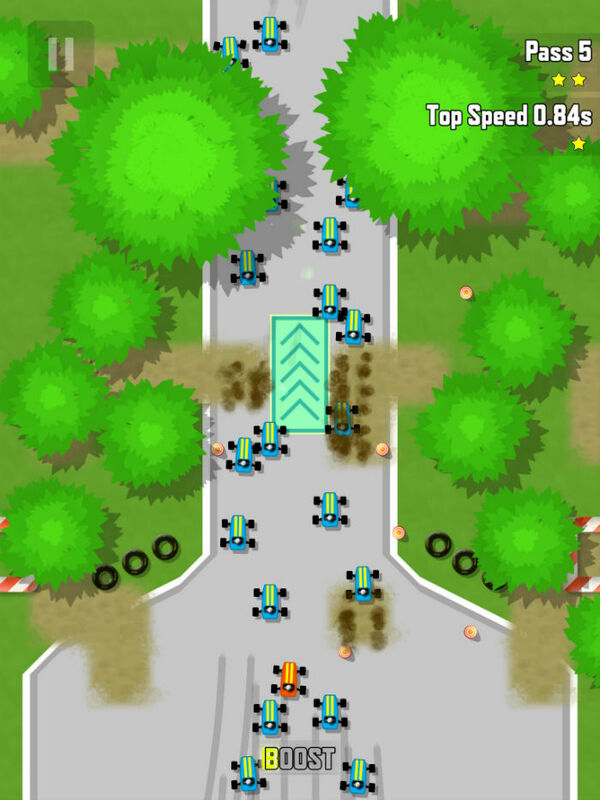 The cars are generic little karts and there's barely any customization to be found - but it's simply not that type of game where those things are very necessary. If you're looking for a pocket racer with nothing to worry about but going as fast as you can to rack up points and awesome times, Drift'n'Drive is an absolutely essential title. Pick it up for the quintessential bite-sized sports game, and you won't regret it. Download Drift'n'Drive for iPhone and iPad.